As a first-time home seller, you may feel the need to make a counter-offer based on a homebuyer&apos;s initial proposal. However, if the homebuyer rejects your counter-offer, you may be forced to return to square one in your efforts to sell your house and obtain the best price for it. 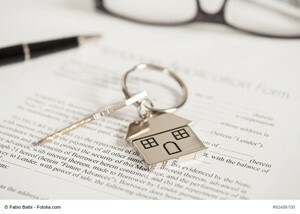 A homebuyer&apos;s rejection of a counter-proposal is not the end of a home selling journey. And for home sellers who know how to proceed after a counter-proposal is rejected, they may be able to streamline the process of getting the optimal price for any residence, at any time. Now, let&apos;s take a look at three tips that a first-time home seller can use to handle a rejected counter-proposal on his or her house. On the other hand, a home seller may choose to conduct assorted home improvements to upgrade his or her house&apos;s interior and exterior. These upgrades can make a world of difference in the eyes of homebuyers, and as a result, may make a home more attractive than other residences that are currently available. Based on information from California Regional Multiple Listing Service, Inc. as of 04/25/2019 01:33 PM. This information is for your personal, non-commercial use and may not be used for any purpose other than to identify prospective properties you may be interested in purchasing. Display of MLS data is usually deemed reliable but is NOT guaranteed accurate by the MLS. Buyers are responsible for verifying the accuracy of all information and should investigate the data themselves or retain appropriate professionals. Information from sources other than the Listing Agent may have been included in the MLS data. Unless otherwise specified in writing, Ocean Real Estates Inc has not and will not verify any information obtained from other sources. The Broker/Agent providing the information contained herein may or may not have been the Listing and/or Selling Agent.